The “industry standard” golf club scale designed by Ralph Maltby. 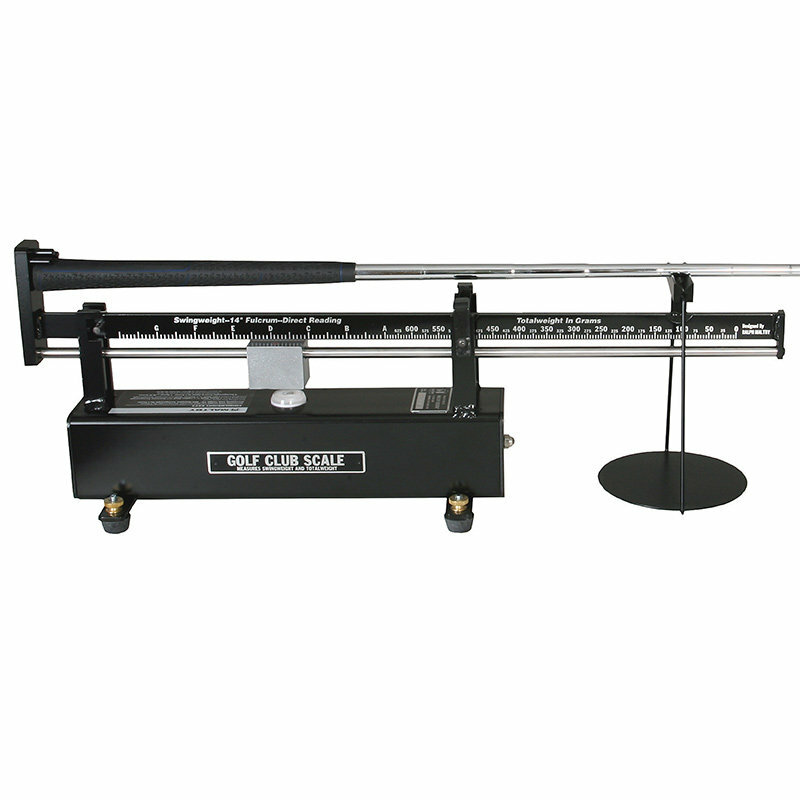 This Golf Club Scale measures swingweights using the industry standard 14” fulcrum principle which provides direct swingweight readings (C8, D2, etc.). Scale markings are large, easy to read, and are printed on both sides of the Scale, so readings can be taken from either side. By placing any club in the resting cradle, this Scale also measures total club weight. Permanently mounted parts tray measures the weight of individual components. Weights can be read in grams and ounces. The Scale has a bubble-level indicator and adjustable feet to ensure accurate readings no matter what surface it’s on. A modern gray/black protective finish completes the professional quality of this unit. Each scale is precision machined, assembled by hand, calibrated in our factory, and then shipped to you in a specially designed, protective carton. A calibration plate certifies the accuracy of each scale. When you purchase the Ralph Maltby Golf Club Scale, you are buying a precision instrument that will reward you with a lifetime of use.